LifeBridge Health offers a variety of cancer-related programs and support groups to educate patients and their families about cancer. 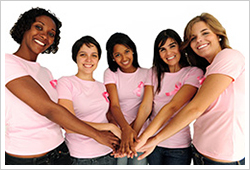 Many of these programs and groups are free and provide support for people undergoing chemotherapy or radiation therapy, or who are cancer survivors. The discussions are mainly led by cancer experts from the Alvin & Lois Lapidus Cancer Institute.